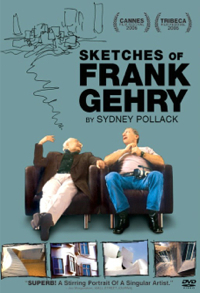 Frank Gehry's genius is now well recognized worldwide, especially after the opening of Guggenheim in Bilbao. I'm always in awe of architects. How could these people come up with their ideas? Unlike other forms of art, buildings have to stand on the ground according to laws of physics. This very intimate documentary, thanks to their friendship, gives us a behind the scene account of his thought process, his philosophy and a brief biography. I found it very fascinating to see how he starts from a simple drawing. Then, lots of modelling with cut-out paper, followed by computer modelling with software specialists. As he admits, it's no longer possible to claim his work as his own, it's a big enterprise involving tons of people including structural engineers. It's a great way to get some insight into this remarkable artist, and the story is very well documented.